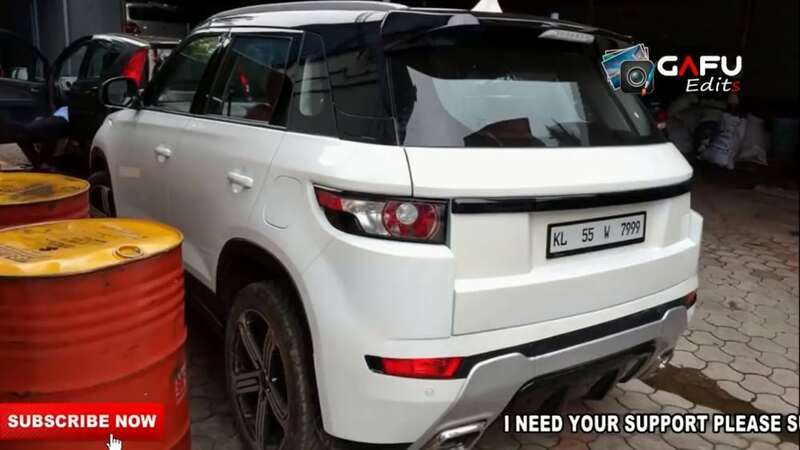 Maruti Brezza Modified to Look Like an RR Evoque: Maruti Vitara Brezza is a living success story for a brand which was once popular for highly affordable cars in India. 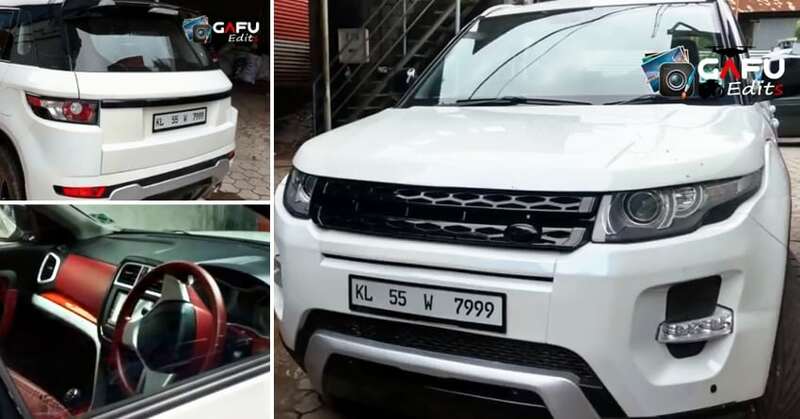 A buyer could not resist the similarities of Brezza with Range Rover Evoque and went forward with a complete makeover for his car. 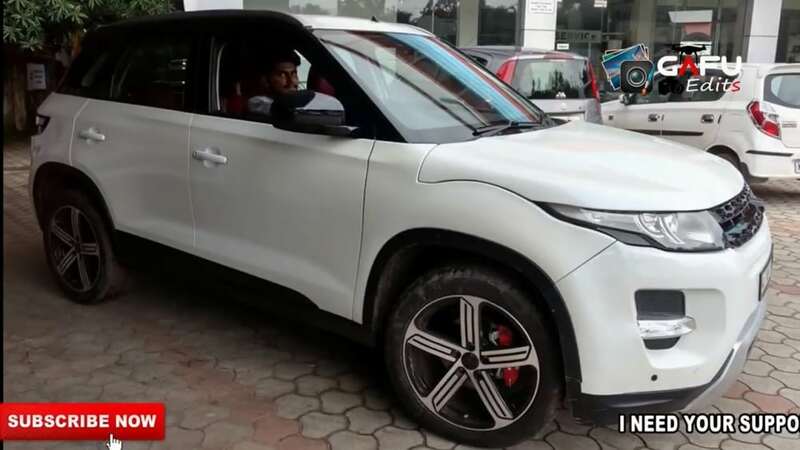 Vitara Brezza, which itself costs INR 10 lakh, was modified into this Evoque-inspired model for INR 6 lakh. The upgrades are purely cosmetic and no change was made to the frame, engine and other unseen parts. 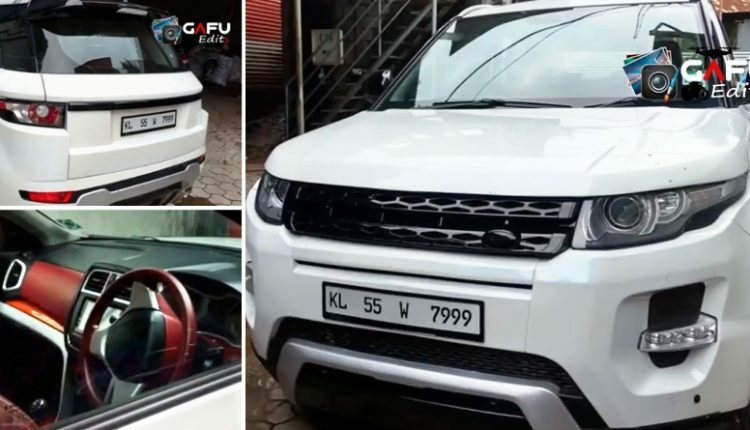 The front Brezza specific grill was removed and replaced with a Land Rover inspired black grill, leaving no stones unturned in basic profile makeover. The headlights are from Evoque and even the bumper now supports similar daytime running light placement. The silver finished skid plate is also inspired by Range Rover Evoque. 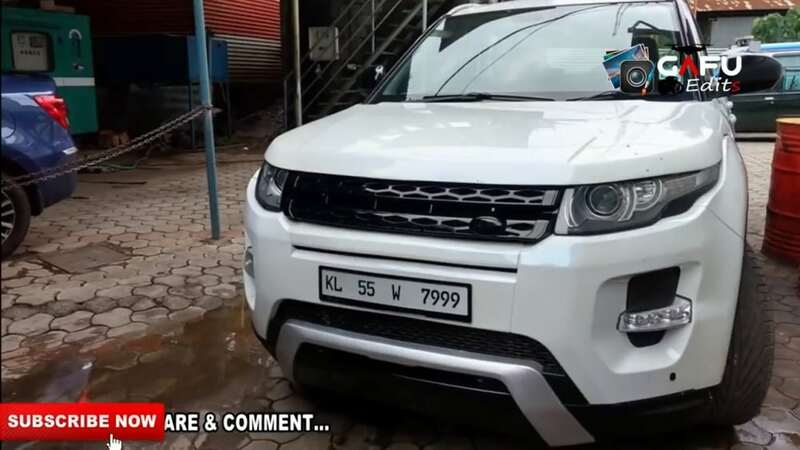 Maruti Vitara Brezza features a straight-cut fender whereas this typical example flaunts Evoque-inspired curved fender cut and bonnet design. The side profile flaunts a familiar Brezza look, along with prominent alloy wheels and red painted calipers. 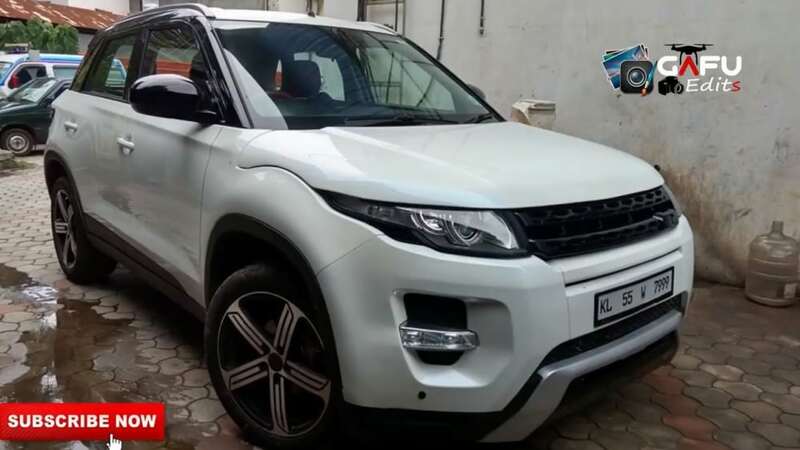 The boot area was also redesigned to achieve the Evoque look with similar tail lights, a flat boot door, and sporty spoiler. The roof and pillars on this Brezza are painted black whereas, lower half of the bumper supports a silver skid plate with dual exhaust openings. The modifications are not limited to the exterior only as inside now features silver door handles, air vents and steering wheels inserts. 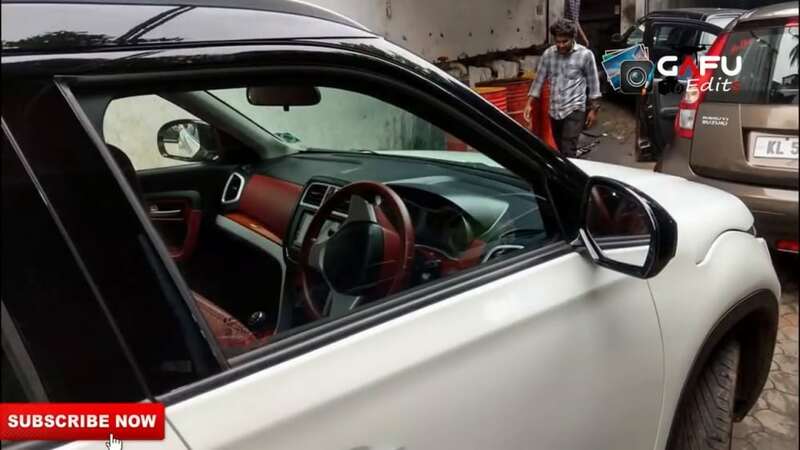 Apart from these inserts, the modifier has added red shade on the dashboard, door covers, and seats. The pattern is inspired from Range Rover interior but components stay the same as those available on a stock Vitara Brezza. The car comes with a 1.3L, four-cylinder diesel engine, producing 90hp and 200Nm. The engine comes mated to a decent, 5-speed manual gearbox.